Where there's a will, there's a way, and even when the temperatures are plummeting, you can keep your head warm and protected on a winter's ride with Giro's Timberwolf Helmet. 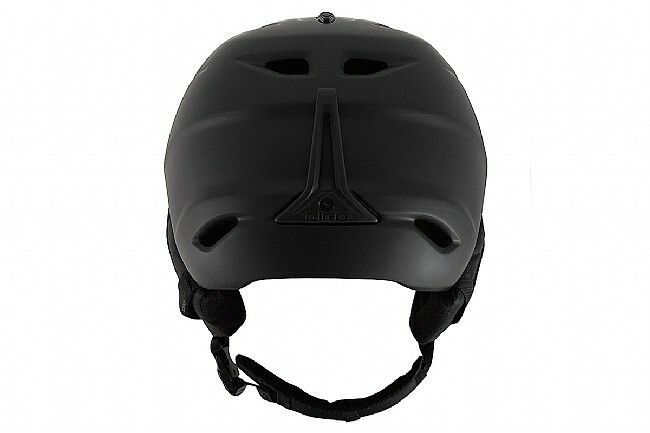 It draws from Giro's industry-leading snowsport helmets with features like a fleece liner, removable ear pads, and closeable Thermostat Control™ vents. The In Form™ trade Fit system is designed for on-the-fly adjustments when wearing thick winter gloves, and vertical adjustability ensures the helmet mates comfortably with goggles in real blizzard conditions. Fits my head perfectly. Adjustable to fit various thickness balaclava. A very warm helmet...nice brushed lining. Helmet ridge is designed to wear with ski goggles...syncs perfectly. The openclose vents are the rage. I typically wear this helmet if it's under 30 degrees F. Too warm otherwise.